Delvaux 1829 Newspaper Bag by Bruno Pieters. In 1829, Charles Delvaux opened a window for all and sundry in Brussels to peer at his handcrafted travel trunks to much universal admiration amongst the cognoscenti. In a short span of 70 years, his was a House that not only earned the right to serve the Court of Belgium but also the first to patent the Edison trunk, in time and to our benefit, we now enjoy a rich heritage of luggage, boxes and working bags. Ladies and Monsieurs, welcome to the World of Delvaux. Housed in an Art Nouveau Horta-style building in Brussels, the Delvaux “Heart”quarters (rather than “head” a hint to their passion) was once a maintenance depot for horse-drawn and military vehicles- today, it is home to Delvaux and their Museum of leather and luggage excellence. Their techniques, refined over several lifetimes have resulted in not only the oldest leather goods House in the world but have created unparalleled expertise in their industry. 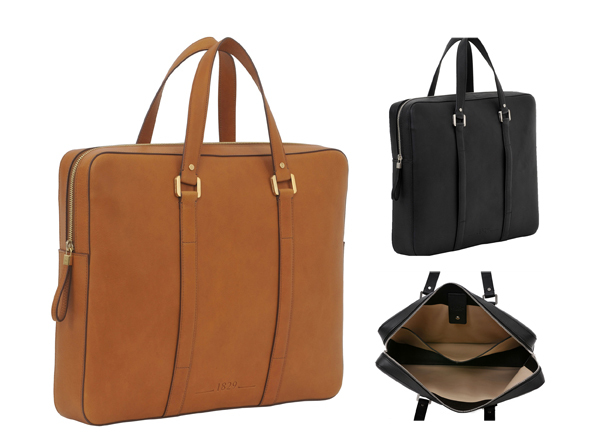 Sure, some might feel TheMonsieur commits avarice but worshipping at the altar of Mammon (while they ARE stylish work bags, they tend to be pricey, expect to spend over 1000 Euros) but honestly, I only want you to invest in the best. Available at Delvaux’s e-Shop. 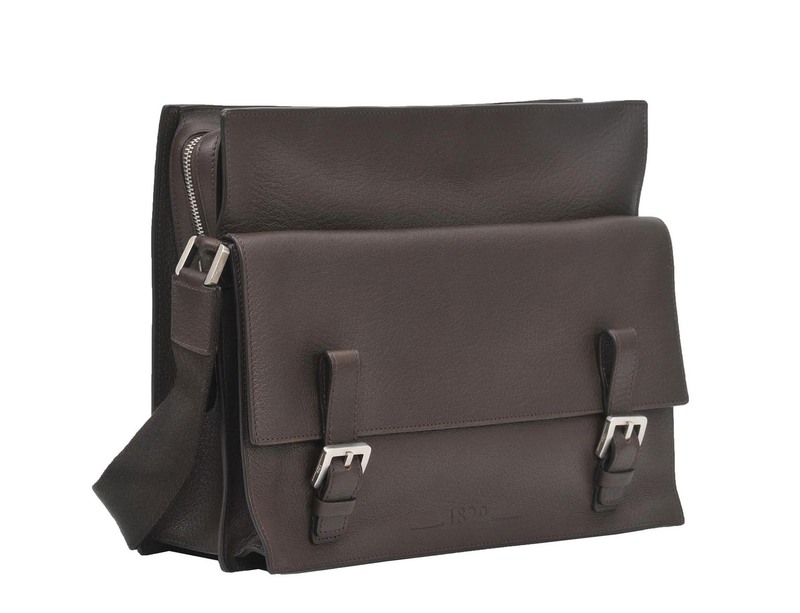 Newspaper Bag as its name implies is a briefcase designed by Bruno Pieters which, as well as being able to carry A4 documents or a laptop, also has two external straps into which a newspaper or a magazine can quickly be slipped. The main body unzips widely onto storage space lined in pale Basane leather, fitted with a large flat pocket. Update: In case the images don’t show too clearly, the Newspaper bag differs from the President bag like portrait and landscape orientation. The President is longer in width. 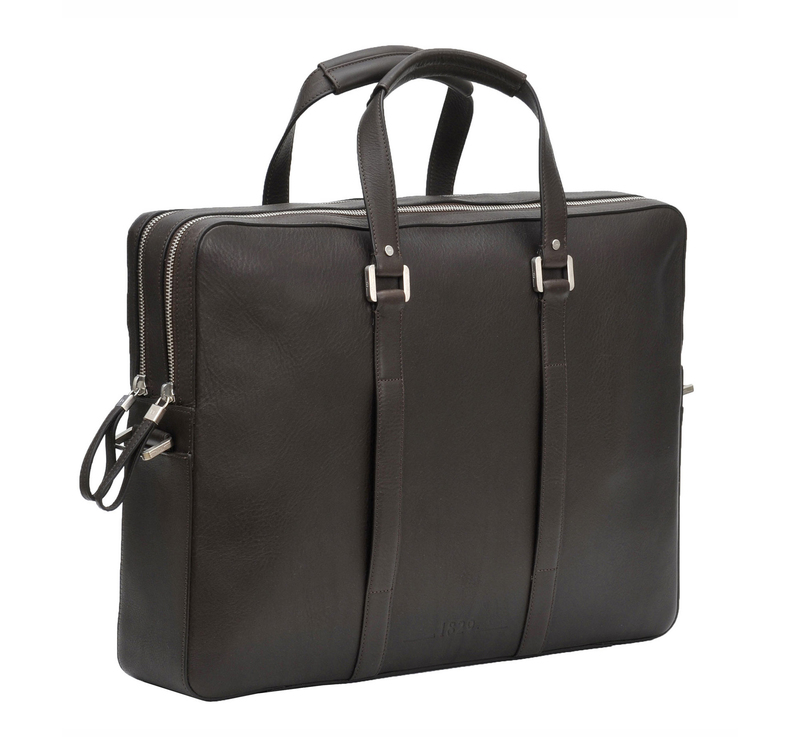 President Bag is a multi-functional briefcase designed by Bruno Pieters which can accommodate not only several A4 documents, but also a laptop computer (17 inch). Its handle is padded for extra comfort when carried by hand. It has a shoulder strap in Cabas leather. Two large independent compartments constitute the central section of this document carrier, the zips have small leather loops. Inside, one compartment has a generous pocket which closes with a press stud, the two flat pockets are also closed by a press stud on a loop, there is also a mobile phone holder and a double pen loop. On one side of the exterior there are two straps under which a newspaper or magazine can be slipped quickly. The other side has a flat pocket with a zip. The interior is finished in pale Basane leather. Supple Briefcase is a document carrier designed by Bruno Pieters with precise lines and a handle. Its long flap has two clasps which can be locked with the key supplied. Inside, it has a flat pocket, a mobile phone holder, and two pen holders, all in pale Basane leather. 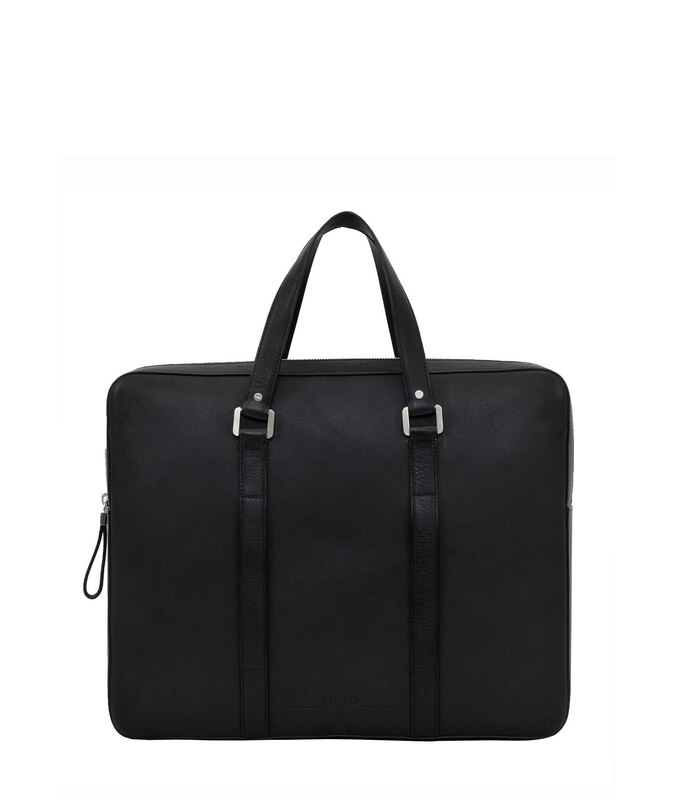 Baudrier GM is a man’s briefcase with precise, structured lines, designed by Bruno Pieters. It can be carried by hand, worn on the shoulder or across the chest. Its compact format is totally suited to carrying A4 documents and a small laptop (13″). It has two gusseted compartments, one with a zip, the other closed by a flap attached by two square buckles. A freely accessible flat pocket separates these two compartments. Classically elegant. Ages well. Timeless. A prudent luxury investment. All the brass fittings and accessories in the 1829 collection are finished in brushed palladium. 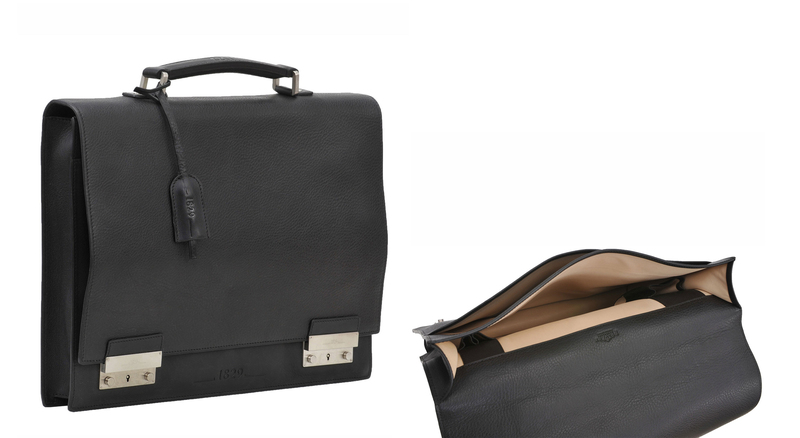 Delvaux 1829 Supple Briefcase by Bruno Pieters.